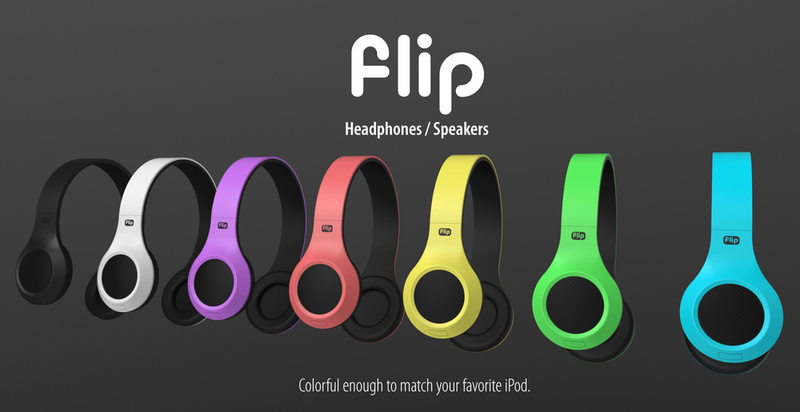 Flip is a Headphones/Speakers hybrid concept. It is a set of headphones that can also be used as portable speakers. There are two modes of use. In Headphones mode, it acts as a pair of regular headphones. By pressing the switch button, you enter the Speakers mode and activate the surprisingly powerful external speakers located on the outside of the headphones, sharing your music with everyone around you.